It's appropriate we're talking to Ryan Dalziel at Watkins Glen, as this is the only Grand Prix that fellow Scottish driver Innes Ireland ever won. Ryan, on the other hand, has won a ton of races and is taking a break from that to talk with you, dear readers. Where to start? The 32-year-old Scot has earned checkered flags in the Rolex 24, Sebring, Petit Le Mans, and the big one at Le Mans. But to get there he had to work his way up from a one-off Champ Car ride in 2005 to regular work in Daytona Prototypes and, in 2013, the awesome SRT Viper GTS-Rs. 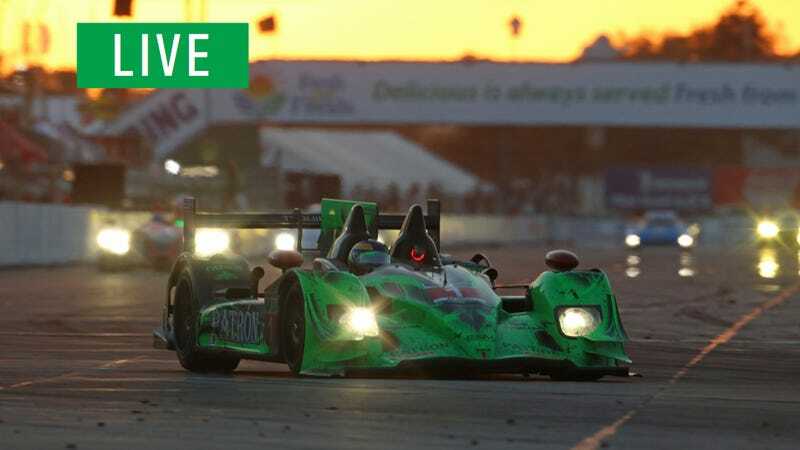 This year he's wearing the black-and-green of Tequila Patron in the #1 Patron ESM HPD Prototype. A son of Scotland who moved to Florida, he can tell us which one is crazy as he joins us here in the bigass RV before competing Sunday in the big Six-Hour Tudor USCC race. Ask him whatever you want below!